Below are Box Office Collection Report of bollywood film 'Secret Superstar' With his review, budget and total box office and worldwide collection status. 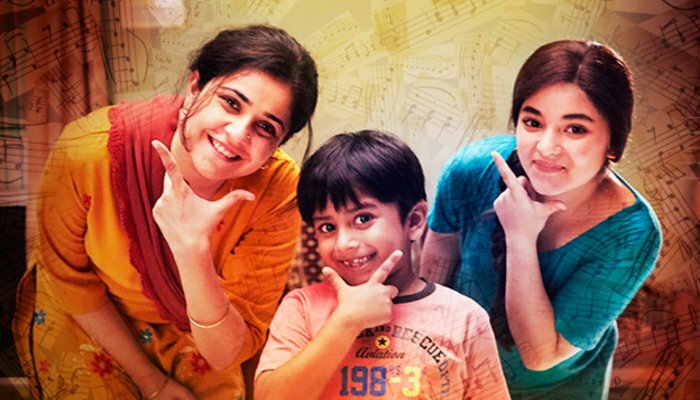 Secret Superstar movie lead star cast is Zaira Wasim, Aamir Khan. Secret Superstar is an indian Musical, Drama Film of 2017, directed by Advait Chandan & produced by Aamir Khan, Kiran Rao. 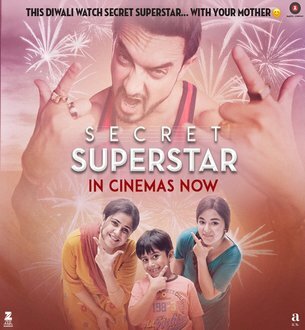 Secret Superstar film Released in over 1750 screens in India and 1090 screens in overseas, Total 2840 screens worldwide. Aamir Khan and 'Dangle' Girl released with the slow start of Zaara Waseem's movie "Secret Superstar". Analysts believe that the main cause of the film is due to Diwali festival. According to the report of Box Office India.com, the film has earned Rs 4.25 crore on its first day. Storyline:- Secret Superstar traces the journey of Insia, a 14 year old girl from Vadodara, whose dream of becoming a singer changes her life and of everyone around her.